Natalie* is the Director of Legal Recruitment and Development. She is responsible for the talent lifecycle of our students and associates. Her role will include recruitment, career coaching and mentoring, professional learning, performance management, and retention. Natalie nurtures§ the professional growth and development of our legal talent. Natalie leverages her 20 years of experience by identifying and recruiting top talent‡ to support our long term growth and strategic goals. Natalie is also involved in managing our diversity and inclusion initiatives. .
is the Director of Legal Recruitment and Development at Lenczner Slaght. Natalie is responsible for managing the Firm’s recruitment and professional development initiatives to nurture the professional growth and development of its legal talent. Her role focuses on the talent lifecycle of our students and associates. Her role will include recruitment, career coaching and mentoring, professional learning, performance management, and retention. Natalie is also involved in managing the Firm’s diversity and inclusion initiatives. Collaborating with the Firm’s management committee, partners and business teams, Natalie leverages her background to integrate talent growth and development into the Firm’s broader strategic goals and objectives to support long term growth. Natalie has developed expertise identifying and recruiting top talent through law school recruitment processes and at the lateral associate level. Natalie directs the Firm’s liaison activities with law schools, law students and law student organizations. Natalie’s expertise is recognized in the talent management community. She is often called upon to share her experience and advice with students at law schools and other forums, appearing on panels focusing on recruitment, interviewing, resilience and diversity and inclusion. Natalie is an active member of the National Association for Law Placement (NALP) and is co-chair of the NALP’s Summer and Articling Working Group. Natalie has completed Mental Health First Aid Training. 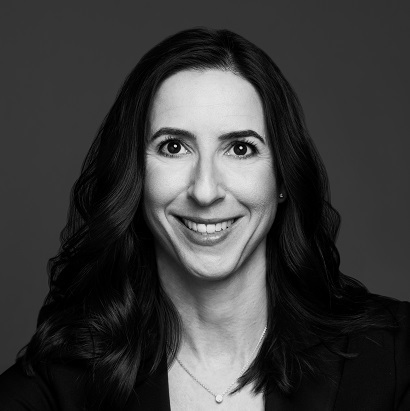 Prior to joining the Lenczner Slaght, Natalie worked in the Toronto office of an international law firm for almost twenty years, practicing as an employment litigator for almost a decade before transitioning into a talent management role. Why Should We Hire You? Perfecting the Art of Persuasion on Interviewing. Natalie Zinman co-authored the Lexology article Proposed amendments to the Personal Information Protection and Electronic Documents Act: relief is on the way for M&A transactions.